Instructors can use the Assignment activity in cuLearn to receive online or offline assignment submissions from students. Online Assignments allow students to submit any digital files through the cuLearn system. File types can include word-processed documents, pdfs, spreadsheets, images, or audio and video clips. Check with your instructor or the assignment instructions to find out the preferred file type for submission. In addition to, or instead of submitting a file, the instructor may require you to submit typed text directly using the text editor inside of cuLearn to submit your assignment. Offline Assignments require students to hand in a hard copy (paper version) of the assignment in person to the instructor. No digital file submissions are possible in this case. 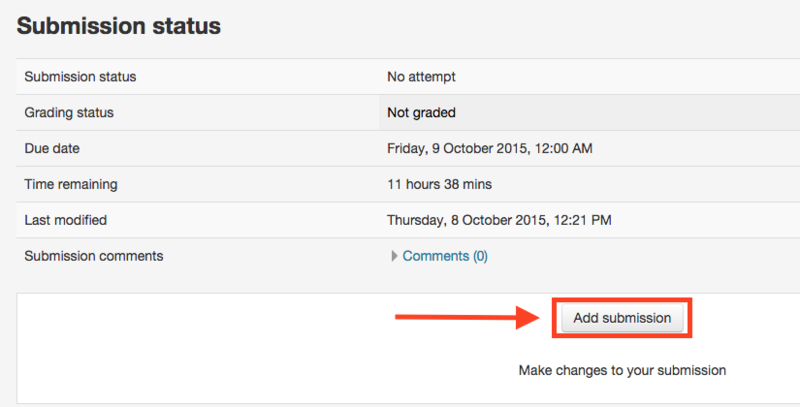 Your instructor may provide you with grades/feedback on the assignment within cuLearn if they have chosen this option. Type your assignment text directly into the text editor window. You may be required to write an online Quiz in cuLearn. Make sure you know how to locate the Quiz on your cuLearn course page. If you are unsure where to find the quiz, ask your instructor. Often instructors will hide the Quiz until you are permitted to start writing; if this is the case, your Quiz will be revealed on your course page when the specified time and date have been reached. When the Quiz is ‘open’, click on the name of the Quiz to access it. Follow the specific instructions your instructor has provided. If your instructor has set a time limit, you will find a clock in the upper left corner of the Quiz activity–be mindful of the time as you proceed through the Quiz. Your instructor may or may not use the grade book in cuLearn to display your grades. Instructors usually indicate how they will present your grades to you. If you are unsure how you will receive grades, feel free to ask your instructor. Click on Grades. If your grades have been made available by your instructor, they will be displayed. Why Can’t I See My Grades? If many of your grades are displayed in the gradebook, but a specific grade item is not visible, your instructor may have hidden that grade until all student marks are ready to be released. Not all instructors choose to use the grade book to display student marks. If there are no grades at all, your instructor may have chosen a different way to release your grades to you.